Generally I'm not in favor of traumatic brain injuries. Everything I hear and read, however, tells me that we're pretty much on the edge of an epidemic, due to the cumulative effects of five years in the Iraq. So while it's not exactly practical in the usual sense, this event does have a practical purpose... What: U.S. Air Force Cycling Classic When: Sunday, May 4th, 2008, 7 a.m. - 5 p.m. Where: The Crystal Route ( starting at the U.S. Air Force Memorial) Beneficiary: "Raisin Hope" organization for research, rehabilitation, and support for veterans who have suffered traumatic brain injury. To Register: Arlington Sports Also, to prevent traumatic brain injuries while riding a bike, wear a helmet. Features A New Generation of Bus Rapid Transit Systems Opens in China In January 2008, three new bus rapid transit (BRT) systems opened in China in Dalian, Changzhou and Chongqing. This new generation of Chinese BRT systems may indicate a trend toward hybrid, 'flexible' systems featuring BRT buses operating both inside and outside the BRT corridor... (read full story). Buenos Aires to Implement a Vélib-style Public Bicycle Transport System The Buenos Aires City Council took a positive step towards becoming a more sustainable city by approving legislation to create a public bicycle transport system. Replicating the Vélib system in Paris, which was awarded with the 2008 Sustainable Transport Award, the law establishes a city-wide bicycle rental system that also provides strategically-located bike stations... (read full story). Some Jakarta Busway Lanes Opened to Cars For the last several months, portions of Jakarta's busway corridors have been opened to general traffic by the Jakarta police, doubling and tripling travel time for some TransJakarta riders. Since January of 2007, the TransJakarta busway has been operating 97 km of services on seven corridors. Work on three additional corridors is in progress... (read full story). On PARK(ing) Day, People Demand More Parks, Less Parking On September 21, 2007, people in 47 cities transformed parking spots into over 180 small parks during an annual global event called PARK(ing) Day. By thinking of metered parking spaces as short term, inexpensive leasing of the space, PARK(ing) Day takes those parking spots and turns them into public spaces. These passive places where cars would sit all day became active places of recreation, interaction and play. (read full story). Non Motorized Training Courses in Brazil in November 2007 Ban on Cycle Rickshaw in Chandni Chowk challenged in Supreme Court Beating climate change with Clinton USA & Indonesia: Addressing Climate Change & More Busway project gets foreign support Industry Group Brings Bikes to Poor Newscast - Pedestrian Safety in Mexico City (Spanish) For more news, please go to ITDP's News archive. P1020272.JPG, originally uploaded by cleverchimp. Tastee as a bowl full of milk. Dee-lish. 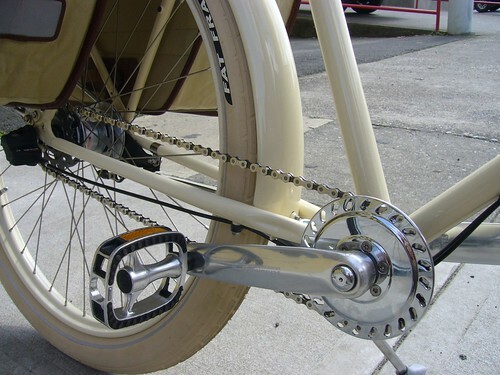 Anyone have some deets on the drivetrain bits pictured here? P1020265.JPG, originally uploaded by cleverchimp. Ooo, can you stand it! P1020267.JPG, originally uploaded by cleverchimp. Nicely done! This also illustrates the potential for a _suspended_ longtail. A while ago I got a flat tire because somebody used the bike lane as a beer bottle drop. Changing a rear tire on these cruiser x's is no small feat. You need clamps, a crescent wrench, a phillips head screwdriver, patience and an allen tool. Not wanting to repeat the process, I loaded up bag and broom and went back to sweep up the glass. I picked up some garbage along the way as well and found it to be very enjoyable. lawn_mower.jpg, originally uploaded by Hugger Industries. Update: We will survey and discuss new pedestrian safety or transportation issues from the past month, including several recent pedestrian accidents. New Silver Spring Library: We will propose and discuss a letter about parking, construction, and related issues at the new Silver Spring library following last month's discussion and presentation by the Silver Spring library manager. Pedestrian safety and other issues in the proposed county operating budget. Construction -- and lack of it -- on the Metropolitan Branch Trail through Silver Spring and Takoma Park. Improving safety and possible changes near the intersection of Georgia Ave. and Seminary Rd. in Montgomery Hills. If you have any thoughts, ideas, or questions, or for information, call 301-565-7300. We should all be going to things like this. I haven't been, but I think I'll start on Monday. ...for this custom longtail by Rick Hunter, of Hunter Cycles. The Bag Cradle not-a-rack rack, originally uploaded by jefftron3000. Um, can you say "RAD!" As seen here in the Surly blog, or at the company's (that is, Carousel Design Works') website, which, I should add, is nicely done, with diagrams and stuff. Chuey Brand T Shirt, originally uploaded by Chuey Brand. From the Star-Tribune: Threading his way through heavy traffic on a bicycle, Nick Sande has grown accustomed to drivers peering out their windows at him. Sometimes, the car-bound commuters give in to curiosity, roll down their windows and shout: "What is that thing?" 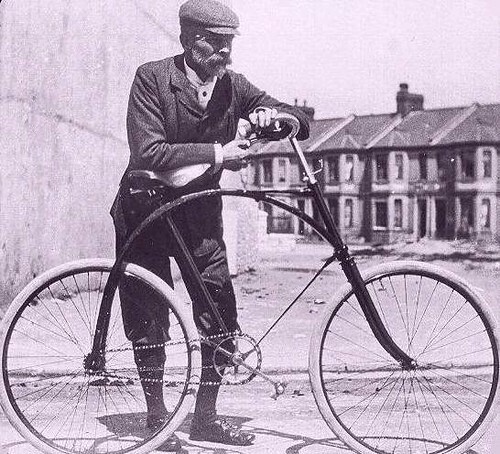 A "freakenstein" bike. A cargo bike. 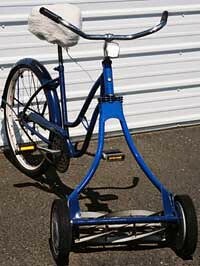 The latest design from Sande's employer, local bike manufacturer Surly, the thing Sande rides has a lot of descriptions. Surly calls it the "Big Dummy." Joking aside, the long-tail cargo bicycle that Surly rolled out last month is being welcomed by some cyclists as a practical replacement for cars. It carries passengers and as much as 200 pounds of cargo, thanks to an extended frame. An optional electric motor coaxes the bike down the road at 20 miles per hour. The setup weighs 6 to 7 pounds more than a conventional bike. 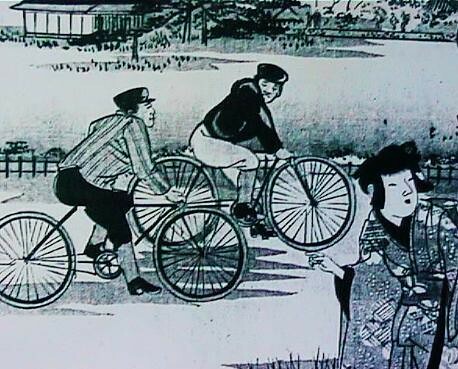 But it's not cheap -- a fully assembled Big Dummy will set you back about $1,700. 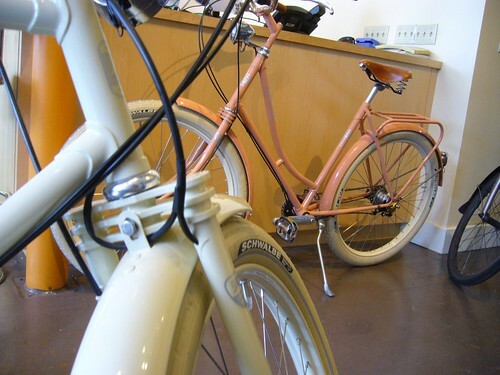 The motor, sold by Clever Cycles of Portland, Ore., runs at least $1,350 more. It's a vehicle made for recessionary times -- and for coping with surging fuel prices. At the website of Surly's corporate parent, Bloomington-based Quality Bike Products, visitors are treated to a calculator that allows them to plug in their commute distances and parking costs and get estimates of the payoff time for buying a new bike for that ride to work. The Big Dummy looks like something from the Third World, where gasoline prices and the expenses of cars have demanded ingenuous transportation solutions. Think Cambodian cyclos, or the bicycle sidecars of Myanmar. The story behind the Big Dummy's design isn't that far off from such exotic origins. 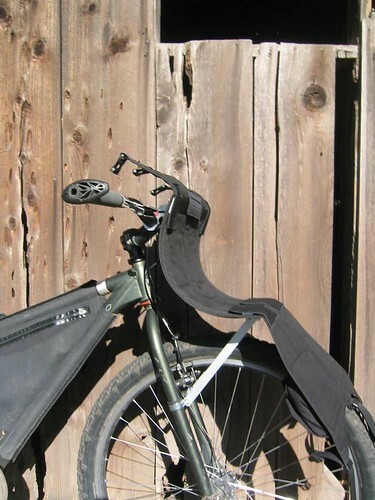 Surly makes the Big Dummy in conjunction with Oakland, Calif.-based Xtracycle, which has made a bolt-on attachment for standard bicycles since 1998. The company, still small with just two full-time employees, needed a framemaker to grow its market. After some initial meetings in 2006, a partnership was formed. "They told us straight up, 'We're not frame designers, you are,'" Sande said. Xtracycle founder Ross Evans said his idea for a long-tail bike grew out of experiences he had in Nicaragua while studying bicycles as transportation for his master's degree in engineering and Latin American studies from Stanford University. A Vietnam veteran working in Managua as a frame-builder convinced Evans of the value of a long-tail design: Its single-wheel path made more sense than a tricycle. 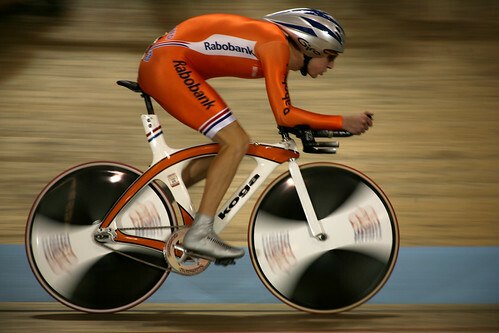 And as a bolt-on attachment to a regular bicycle, it allowed Evans to reuse conventional frames. "I came to believe in it," Evans said. He eventually founded a company in Northern California in 1998 to build and sell a "free radical," something that looks like half of a bike frame. 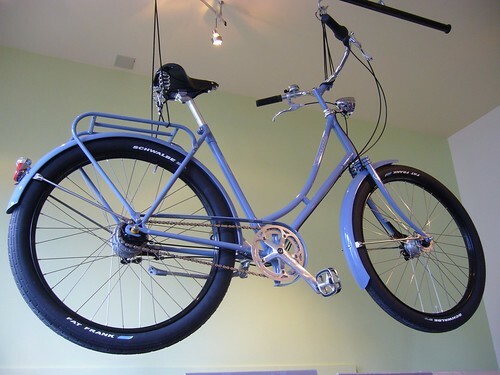 It's designed to be bolted onto a standard frame to create a long bike. Evans estimates that he's sold 5,000 Xtracycle attachments. The company also makes accessories for carrying people and gear. The collaboration with Surly, a major national bike brand, will add momentum to his vision for long-tail bikes, Evans said. "It's so synergistic. It's grown the whole pie," he said. 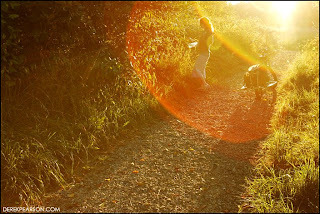 The Xtracycle mission was never about market dominance anyway, Evans said. "What we're interested in building is a movement and a platform. We feel that has more strength in it than being the titan," he said. "You could compare the Xtracycle platform to the iPod platform," said Sande, "in that Apple allows other companies to make aftermarket products to support their products. So the more Xtracycle or iPod compatible products that are out there, the more likely people are to buy the platform product." Surly made three prototypes before working out the bugs, he said. Surly advertised the bike last summer, setting off a buzz in the bike world long before the frame was available. The framemaker, a plant in Taiwan, had to redesign plant machinery to accommodate the large frame, Sande said. "They kind of based everything on how long a tandem bike would be," he said. 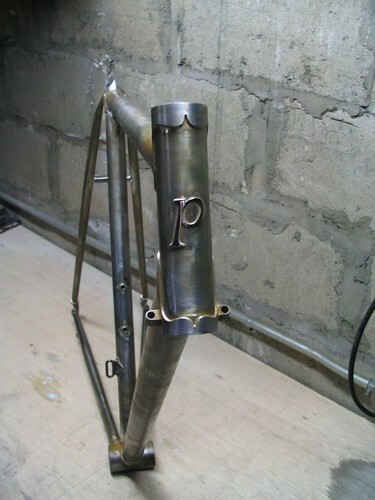 "The jig to hold all the tubes together, to weld them and align them, are all custom for this frame." 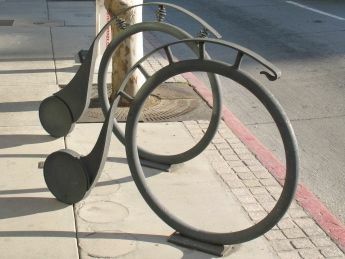 The company curved the top tube, making it easier for a rider to stand flat-footed at a stoplight or to swing a leg over the bar rather than the seat, in case the rear of the bike is loaded high with gear. Surly ordered 300 frames in the first production run. The frames arrived last month and were distributed among some of the 4,500 retailers that are clients of Quality Bike Products. In Minneapolis, One on One Bicycle Studio and the Freewheel Bike shop got some of the frames. "The alternative transportation market is huge. People come in talking about gas prices and about giving up their cars all the time," said Josh Klauck, sales manager at Freewheel. Demand for the Big Dummy has been strong, he said. "It's insane," Klauck said. "One guy wanted us to ship it out to Australia." The long-term effects of fuel prices may drive up bike sales, but not everyone's so sure. "A lot of people think, 'Yeah, we're going to see an increase in sales because of gas prices," One on One owner Gene Oberpriller said. "Those of us in the industry say it's debatable. People are still going to spend the money on the gas. They're going to cut other expenses out." That's the feeling of Jason Cao, a transportation researcher at the University of Minnesota. "People will adjust behavior temporarily," he said. If gas prices remain high, people may begin moving closer to cities to cut their gas bills before they abandon automobiles, he said. Still, with gas expected to hit $4 a gallon in the Midwest this year, the Big Dummy has been embraced by bicyclists as the beginning of something new. Longtime rider and Big Dummy owner Karl Stoerzinger said he feels like a pioneer. "I have the new thing that no one else really has," he said. What was that about responding to the market? The number of major new rail and bus projects on track for federal funding dropped from 48 in 2001 to 17 in 2007, even as transit ridership hit a 50-year high last year and demand for new service is soaring. And for the record, those numbers are before the FTA went on a project-killing spree early in 2008 that knocked off the Silver line and Miami’s North corridor, among others. It’s all you really need to know about the Bush administration’s transportation ideology, which is ostensibly market-based. 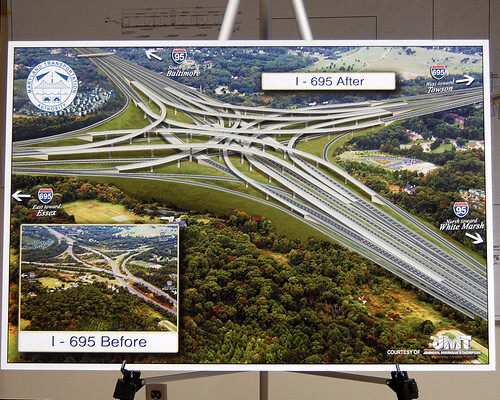 If you really want to delve deeper though, check out the rest of today’s Post article on the subject, then compare it with the article about a Transportation Planning Board study detailing a potential future of tolls on existing highways. The TPB’s vision: Balance transportation by making drivers pay user fees and sinking the toll profits into expanding transit. Bush’s vision: Reduce highway congestion by selling roads to private businesses who will toll highly enough to discourage use. Toll profits go to private businesses. Users who are discouraged from using the highways… are somebody else’s problem. Spaghetti Junction, originally uploaded by tperry111(Thom). Now you know that I'm all for congestion pricing, but sacrificing mass transit to put public infrastructure in the hands of private companies is not exactly what I had in mind. In fact, I'd say it's a downright _bad idea_. Mobility is one of the things that defines opportunity, and equality of opportunity is one of the things for which we should be striving. The is especially true since the political climate doesn't look kindly on other types of equality, such as equality of financial, educational, and nutritional resources, among other. My point is not that user-fees are bad idea - to the contrary, I think they're a good idea. The problem is that privatization projects favor one type of transportation (automobiles), and use public money that would otherwise go to other forms of transit with (a) much lower economic barriers to entry for individuals, (b) smaller environmental impacts, and (c) greater community benefits. In addition, channeling the profits from transportation projects to private investors will increase the chasm between rich owners and poor users, further inculcating divisions of class and more than likely, race/ethnicity. What really rubs me is that much of this has been done by an appointee with no background in transportation. Tyler Duvall, the assistant secretary for transportation policy, seems energetic and bright, but also sheltered and dogmatic. I'd be happy to read a deeper profile, and find out that he really understands the plight of the poor or even the middle-class, but Layton and Hsu didn't come to that conclusion. With no prior experience in anything transportation-related, Duvall was appointed by Secretary of Transportation Mary Peters (she is really starting to get on my nerves). Like the bumper sticker says: if you're not outraged, you're paying close enough attention. Boddingtons1, originally uploaded by davidmoskovitz. it, I enjoy driving it (sometimes). I think cars can be useful and fun. activities, has the largest environmental impact by a wide margin. trips are under one mile. We can do better! you typically use a car. Next, try to go car free one or two days a week. This is nice. I don't know how it escaped my notice until now. Use my bicycle instead of a car whenever possible to reduce the harmful effects of vehicle emissions. Ride my bike to work at least once a week, if circumstances allow. Do what I can to promote cycling as an environmentally-friendly means of transportation. Spread the word that vehicle exhaust contributes more than one-third of all the nitrogen pollution entering the Bay from the air. Encourage other cyclists to join the fight to protect and restore the waterways, farmlands, and forests of the Bay region. 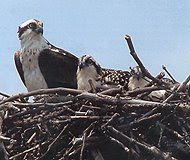 Speak out for decisive action to save this national treasure. They'll send you some free stuff, like a CYCLIST FOR THE BAY water bottle, two CYCLIST FOR THE BAY stickers, a pledge card with useful Bay information, and some other crap. If you have questions, Contact Heather Tuckfield at htuckfield@cbf.org or 443.482.2151. Y'all, on the other hand, may not have made such foolish promises. 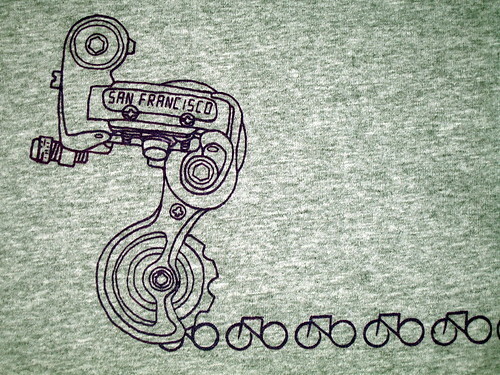 Feel free to patronize these folks: Threadless T-Shirts, Glennz Tees, and especially Janet Bike Girl, 'cause she is RAD! If you want, you can buy one for me (since I can't buy one for myself). 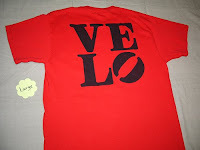 I'd like any or all of the ones pictured in this post - size large, or medium if I've been riding a lot. The push for bicycle use is gaining global relevance not just as a leisure activity, but as a solution to a range of problems like pollution, congestion, rising gas prices and issues surrounding community health. In urban areas around the world, advocacy groups are staking a claim for bicycles and educating the public about the benefits of biking as a means of transport, fitness and fun. Promoting bicycle use also means enabling it; local governments are being tasked to improve infrastructure to create more convenient and safer routes as well as incentives for biking. City initiatives like Bike to Work Day and other bike share projects are promoting public awareness of the positive impact of biking on health, wellbeing and the environment. 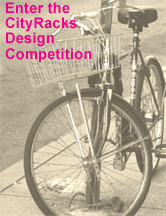 This competition calls for a biking accessory or add-on for existing bikes that would improve the bicycling experience and encourage more people to make biking their primary means of transport – more convenient, more enjoyable, safer and more integrated into daily lifestyles – whether it's for commuting, working, shopping, transporting, leisure or all of the above. In your description, you should define the user scenario and design problem that your design attempts to solve. You cannot enter any design that already exists on the market or has been put into commercial production, or that you do not own the rights to. Note: The submission and announcement deadlines may be subject to change. Overall effectiveness: How well does the solution provide an answer to the design problem? Creativity: How innovative and cost-effective is the thinking behind the design? Practicality: How successfully can the design be produced or put into practice? Can it be adapted for local production? Does it add to the safety of the cyclist, too? Aesthetics: How strong is the design in terms of overall form and presentation? Ecology: How well does the design respond to environmental concerns through considerations such as choice of materials, production techniques, life-span, upgrade, durability, weight, recycle, or re-use factors? Wendy Brawer (USA): An eco-designer, public educator and director, Wendy E. Brawer is best known as creator of NYC’s Green Apple Map and as Founding Director of the local-global Green Map System. In addition to producing maps and related websites (GreenMap.org, GreenAppleMap.org), books, exhibits and presentations, Wendy has taught, spoken and written on eco-design internationally since 1990. Her diverse projects for Times Square, Liberty Science Center, and others have promoted renewable energy and highlighted waste reduction. She was named Woman of Earth 2005, Designer in Residence at Smithsonian Cooper-Hewitt National Design Museum in 1997 and chaired the IDSA EcoCommittee in the mid-90s, as seen at EcoCultural.info. Emiliano Godoy (Mexico): Emiliano Godoy attended the Pratt Institute's graduate program (New York, 2004) and has a BA degree in industrial design from Universidad Iberoamericana (Mexico City, 1997) and furniture design studies from the Danish Design School (2003). He runs the design firm Godoylab, and is the Design Director of the furniture manufacturer Pirwi . He teaches industrial design at the Instituto Tecnológico y de Estudios Superiores de Monterrey, ITESM, and has thought design at UNAM's Centre for Industrial Design Research, the Universidad Iberoamericana and the Pratt Institute. He is a staff editor of the quarterly architecture and design magazine Arquine, is part of the design collective NEL, as well as a member of the Advisory Board of DESIGN 21: Social Design Network. Jens Martin Skibsted (Denmark): Jens Martin Skibsted has founded and co-founded several companies, among them the world-renowned bike company Biomega, Actics, an ethical consultancy and the creative agency Skibsted Ideation. As Creative Director he has worked with some of the world’s leading designers such as Marc Newson, Ross Lovegrove and Karim Rashid and helped position a number of brands. He has designed a series of award-winning bikes for Biomega and is a select designer for Puma alongside the likes of Philippe Starck and Alexander McQueen. He has won the Wallpaper* best bike category and the I.D. Design Distinction for consumer products. He is the first Dane to be featured on the I.D. 40 list and Taschen’s Design Now. 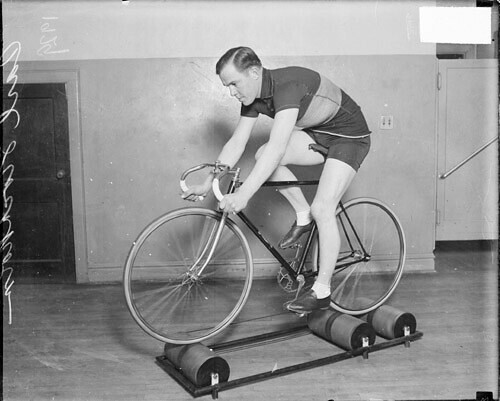 His latest bicycle was acquired for the permanent SFMOMA and MoMA collections. More judges to be announced. Ugg. Generally I agree with the Sierra Club. Almost always. But frequently I don't like their tone. For example, here is a wee test/quiz/survey that assesses the environmental impact of one's bicycle riding. I get it, and I agree (that's why this website is called The Practical Cyclist), but do they have to judge people to get the point across? Is the cause best served in doing so? I suggest it is not. I suggest that making people answer a survey like this makes them justify and defend their behavior, and sets up barriers to improvement. If I check off, "I drive to and from the starting point of my rides," I know what the <em>best</em> answer is, and right away I feel the need to justify my actions. I might as well add, "because it's too far away," or "because I don't feel safe riding on city streets." Do you dread getting in the car on the weekend? 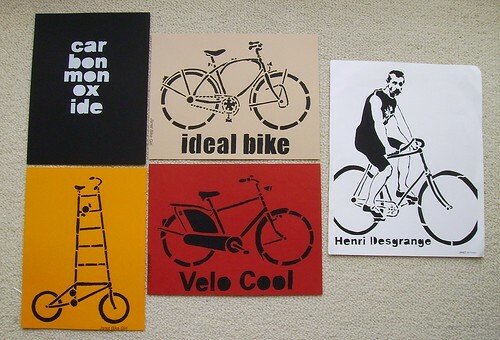 This week, try doing one errand on your bike. Plan ahead, make sure your bike is in good shape and you have a lock. A helmet can be useful too, but only if you crash ;-). If you're feeling really adventuresome, break out a map and plan a route for Bike to Work Day. It's May 16th this year, if you live in the DC area. So there you go, that's the word. If you read this, and you actually do live in the DC area, and want help using a bicycle to commute or do errands, get in touch, or check out The Practical Cyclist's other website, which still needs a lot of work. 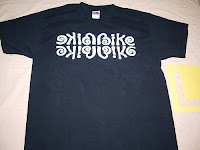 Or try the Bike Commuter Tips blog, by Paul Dorn, or the Bike Now page at C.I.C.L.E. Just in case you're wondering, my score on the quiz was pretty good, and is not the source of my critical attitude. While I'm at it, let me just give the Sierra Club kudos for their efforts. The fact is, human beings are too complicated to exist without a few hypocrisies. Props also to Gordon Inkeles, who keeps The Social Biking Blog, and noticed the Sierra Club quiz. P1010223.JPG, originally uploaded by Sustainable Flatbush. 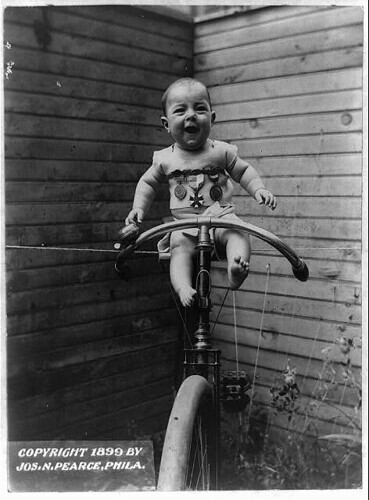 Baby!, originally uploaded by fixedgear. Funny, people still set up pictures like this 100 year later. 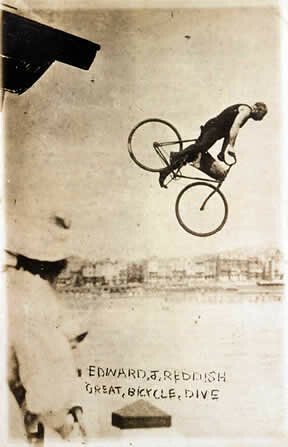 Bicycle Plymouth - Slingshot!, originally uploaded by fixedgear. s067857, originally uploaded by fixedgear. These are rollers. 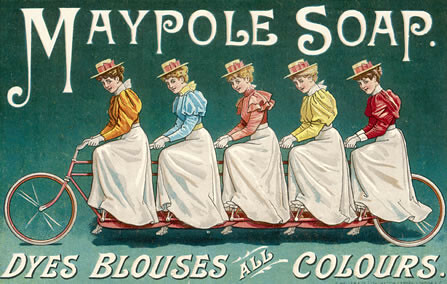 They're like a treadmill for a bicycle. See? 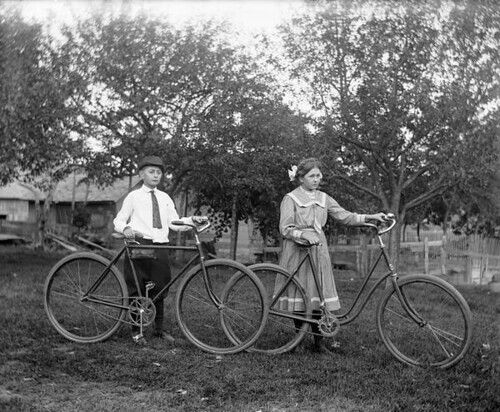 Wisconnsin Historical Society, originally uploaded by fixedgear. 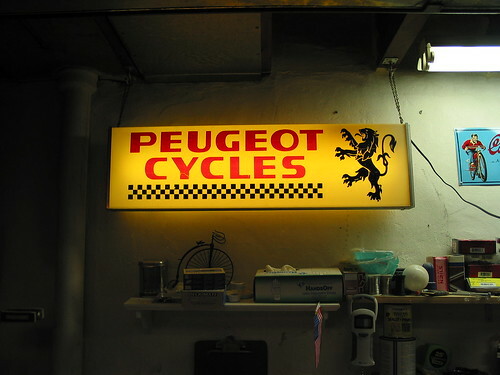 Peugeot, originally uploaded by fixedgear. XTREME!, originally uploaded by fixedgear. Bikes, originally uploaded by fixedgear. 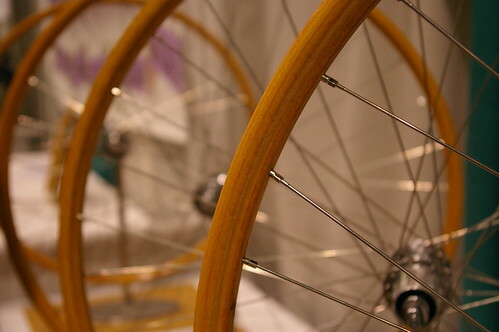 Wood Rims NAHBS, originally uploaded by Dapper Lad Cycles. 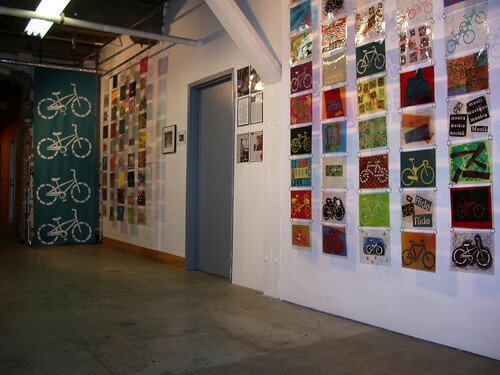 Studio S-26, 401 Richmond St West, Toronto, Canada, originally uploaded by Janet Bike Girl. 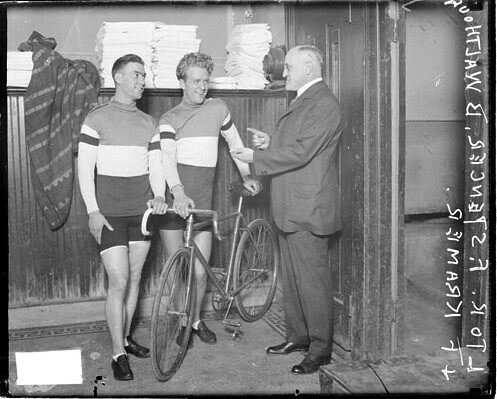 Lorne Shields, Presents A Photographic History of the Bicycle, at Cinecycle, originally uploaded by Janet Bike Girl. 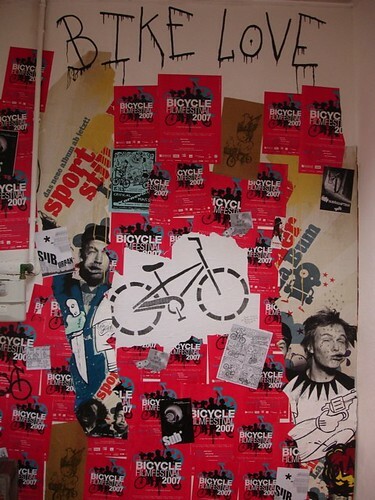 Cycle Art Inoperable Gallery Vienna, Austria 2007, originally uploaded by Janet Bike Girl. Cancer Sells, Art Show London, England, originally uploaded by Janet Bike Girl. 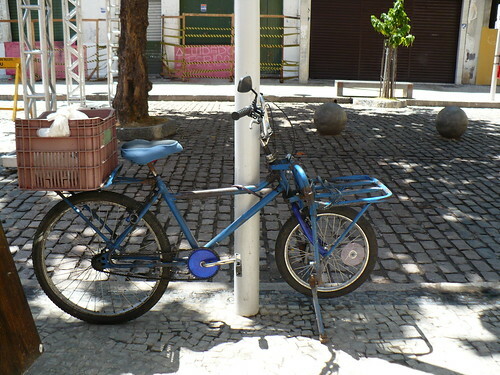 IMG_1492, originally uploaded by Palermo Bicycles. Tom Palermo is building bikes in Bal'mer. He offers repairs and modifications as well, assuming your bicycle is made of steel. Really, what else would you use to make a bike anyway? Of course, it doesn't hurt his cache to have a name like Palermo. 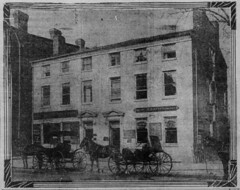 A long look at 4th and Denny, originally uploaded by Seditious Canary. This is a neat picture. A Practical Bike, certainly, for many purposes. 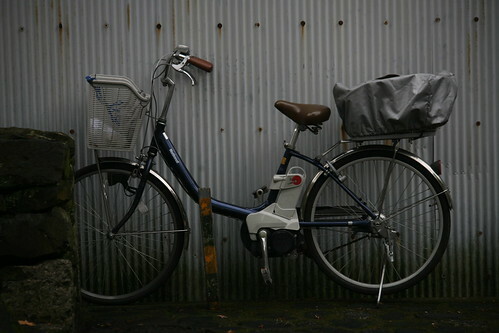 I've seen a number of Japanese bikes/baskets designed specifically for carrying pets, though I don't think this one is. Is that a electric assist behind the seat-tube?